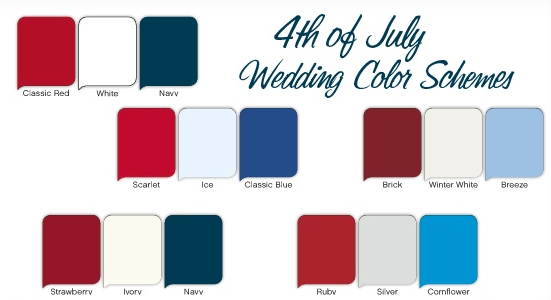 THEME OF RED, WHITE & BLUE can easily go to a Patriotic Theme or a 4th of July Wedding. It can be casual like a wedding outdoors or in a barn. And it can also be more formal, it would just depend on the style of the wedding. Below are some suggestions and ideas for a Red, White & Blue Wedding.